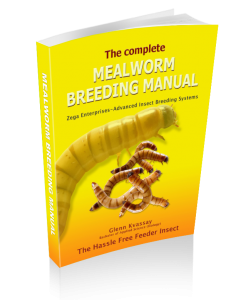 A common misconception about feeding insects to reptiles is “more is better”. Insects are indeed an important part of a bearded dragons diet, however it should not form the majority of its diet. The reason for this is that crickets and other feeder insects are high in fat, and don’t contain all the nutrients they require. Overfeeding is a common cause of obesity, malnutrition and other health issues. On the other hand, not providing your bearded dragon with sufficient crickets and feeder insects can also be harmful. Insects are a good source of roughage and nutrients, which helps to clean a reptiles teeth and prevent periodontal disease. Due to relative inactivity in captivity, most bearded dragons only need 2 or 3 feeds a week, off which feeder insects should be provided on 1 or 2 of these days. This is good news as you probably don’t need to breed or buy as many crickets as you might have thought. Bearded dragons require a range of different foods to maintain good health. Feeding them the right food will not only keep them healthy it will also save you money.